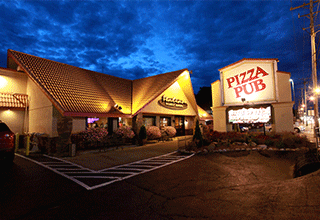 Dells.com would like to welcome the newest restaurant to Wisconsin Dells, Dells Pizza Lab! If you’re a fan of pizza or salad, then this is the place for you! Decide whether you’d like pizza or salad. If you choose pizza, the dough for the 11-inch crust is pressed and formed right in front of you. If you choose salad, you start with a big bowl of fresh lettuce! For pizza, pick your sauce! They offer original pizza sauce, spicy pizza sauce, pesto, Alfredo, and even barbecue! Then start adding your toppings! If you pick salad, you can start selecting your toppings right away. 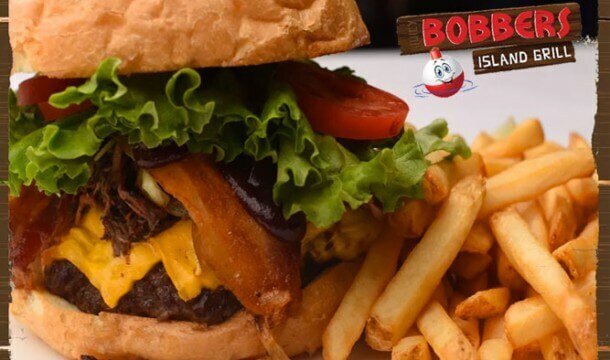 There are over 40 different fresh meats, vegetable, and unique toppings to choose from. The cheese is locally made at Grande Cheese and the other ingredients are focused on coming from local distributors. Everything is as fresh as can be! For only $8.79, pick as many ingredients as your heart’s content on your pizza or salad! After you’ve picked what you’d like and your creation in made, the pizza only takes 5 minutes to cook in their state of the art oven! 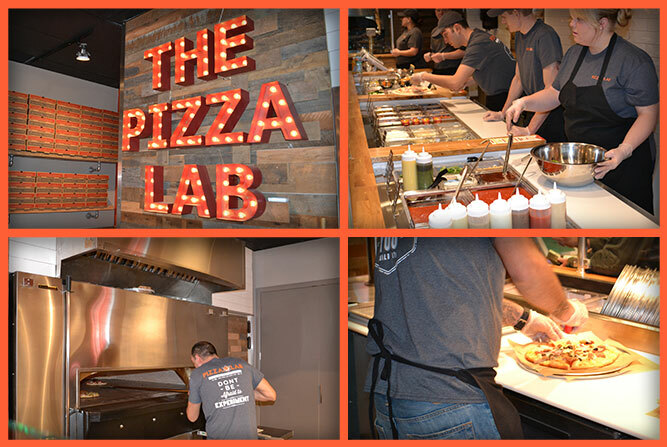 If you can’t decide what you’d like to make, enjoy one of their lab-tested specialty pizzas or salads. Desserts include cupcakes, cheesecakes, and sweet cannoli’s! For beverages, enjoy local Wollersheim & Gallo Family Wines, as well as Domestic, Import, and Wisconsin-based Craft Beer. Coke products and bottled water are also available. I was given the opportunity to try Dells Pizza Lab and I was impressed! I tried the spicy pizza sauce with a mixture of shredded mozzarella and provolone cheeses. Then I had my pizza topped with pepperoni, onions, and I experimented with a little bit of roasted red pepper. In the oven it went! A few minutes later, my name was called and when I picked up my pizza, I was asked if I wanted any sauces drizzled as a finishing touch. I asked for some bbq drizzled on. The pizza was phenomenal. The crust was that authentic flakey thin with that hint of a sweet dough taste. Delicious! 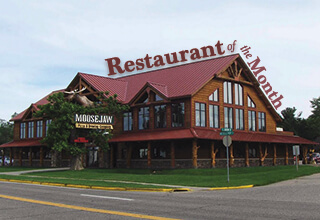 Restaurant of the Month- Moosejaw Pizza & Dells Brewing Co.